The numbering boxes supplied are all steel units fitted with hardened steel wheels, which are chrome finished for hot foil use. Six wheels are fitted and normally down counting, standard character size is 4mm (18pt), other sizes in the range of 2mm to 6mm high are available. Operation is by remote plunger connected to the numbering unit by a drive shaft. 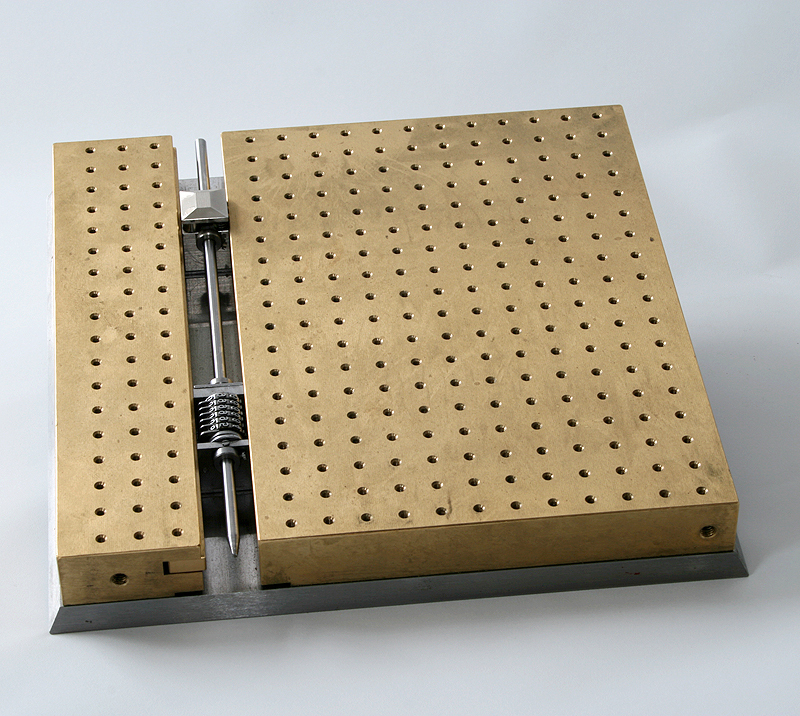 All numbering units allow the simultaneous use of 16 gauge etched dies and a matrix of M3 tapped holes to allow easy attachments, the hole centers are the same pitch as the standard gauge plates.